Campaign created by Tina Overgaard. 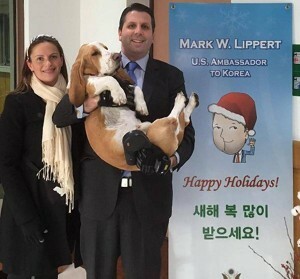 Ambassador Mark Lippert with Grigsby. 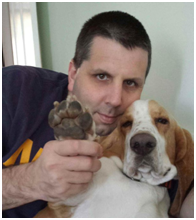 We know how loyal and faithful our dogs across the world are; and we all ask a lot of them – they serve us in innumerable ways: farm work, war work, police and guard duties, search and rescue, help for the disabled, guiding and guardianship, and, of course, as our loving and trusting companions, such as Grigsby. Please take immediate action and help us bring attention to the horrendous torture and slaughter of dogs and cats in S. Korea and urge their government to end this brutal trade once and for all.